Jeff Schnurr along with Daimen Hardie, Gavin Hardie, Zachary Melanson, Elijah Manchester, and Dale Prest make up the main driving force behind Community Forests, which provides low-impact forestry services from tree planting, pre-commercial thinning of properties, and harvest assistance throughout the world. Conservation organizations, corporate partners, and private landowners turn to Community Forests Canada Inc. when they want to practice selective cutting and reforestation of their land. Schnurr also co-founded Community Forests International, an environmental charity that works both in Atlantic Canada and East Africa in 2008. He teamed up with fellow Canadian tree planters, Daimen Hardie, Zach Melanson and Estelle Drisdelle to create an organization capable of supporting the growing tree-planting movement in other parts of the world. 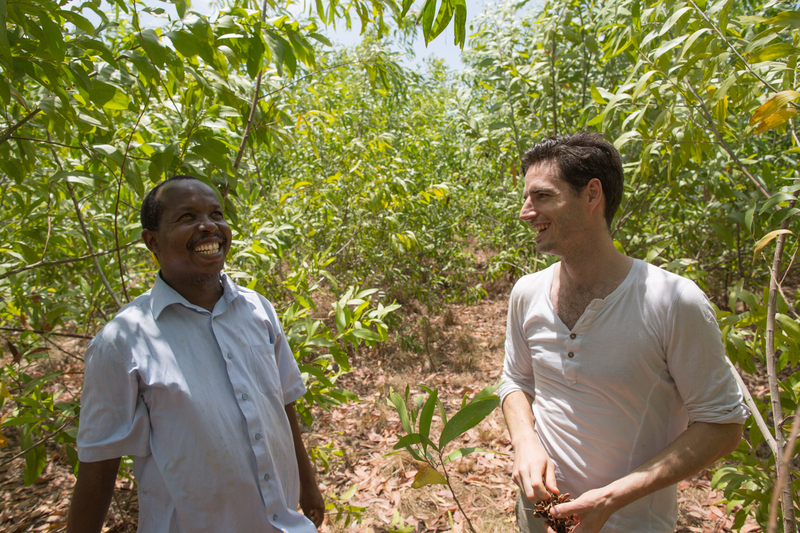 Realizing that Tanzania efforts needed to be led by the locals, Community Forests International helped their partners establish Community Forests Pemba: a locally owned and operated organization that works to make their own change in their corner of the world. The two organizations work in partnership, as equals with a shared vision. In 2009, communities in Pemba began to manage planted forests for fruit and timber. Even though the end goal of planting trees was for environmental conservation and restoration, community members also need to make a living while caring for their land and planet, just as woodlot owners here in New Brunswick do as well. “By focusing on conservation as a way to generate incomes and provide livelihoods, Community Forests Canada Inc. works to restore forests and conserve land, but we do so in a way that also generates income. With a growing population globally and the extreme environmental challenges we face, such as climate change, we need to find a way to live lightly on the land while still providing the resources we all depend on. Here at Community Forests Canada Inc. we work hard to demonstrate that this is possible,” says Schnurr.